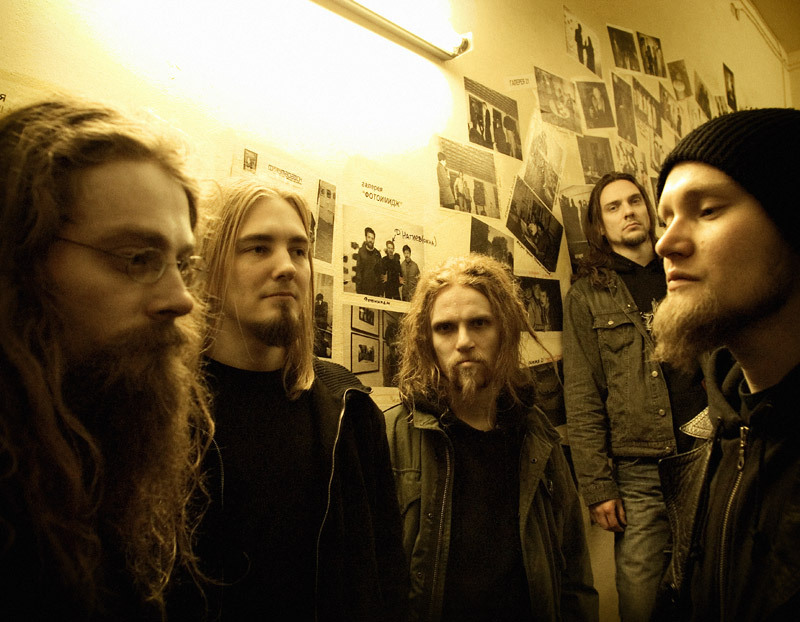 Mokoma is a five piece metal band from Finland. Their music derives from late 80's, early 90's Thrash and Death Metal, but Mokoma also mixes a lot of traditional Finnish melancholy in it's music. Lyrics are in Finnish and the lyricist Marko Annala is currently considered to be one of the best Finnish lyric writers. Mokoma's story is one of the most inspiring in the history of Finnish Metal and music business. Past years of the band has celebrated their unbelievable rise from being the underdogs dropped by a major company to being the top dogs with their own label. In the late 90’s Finland’s metal scene started booming with bands singing in Finnish. Previously English had been the one and only metal language. Then some bands combined metal guitars with Finnish lyrics. Successful acts were followed by copycats, and the main recipe was to churn out sluggish mid-tempo riffs accompanied by lyrics dwelling in ten different types of misery. During those days Mokoma was signed to EMI, and the band released two albums "Valu" (1999) and "Mokoman 120 päivää" (2001). At that time Mokoma’s sound was closer to grunge influenced rock, with some metal elements emerging occasionally. Both albums sold poorly and when Mokoma introduced their idea about an album based on Thrash Metal songs sung in Finnish, EMI instantly dropped them. Since no other company was ready to produce the album without compromising band’s musical vision, band decided to set up their own label, Sakara Records, and release the album on their own. Mokoma was convinced that instead of following marketing visions of a major company they should be playing stuff that was closest to their hearts – Thrash. Rest is history. Their first two albums with their own label "Kurimus" (2003) and "Tämän maailman ruhtinaan hovi" (2004) were both benchmark records. "Kurimus" is regarded as the first Thrash Metal album sung in Finnish. It was hailed in unison by audience and media for bringing fresh air into the Finnish metal scene. It shipped less than 200 copies, but eventually sold thousands, as the word and freely distributed mp3-single "Takatalvi" spread among the metal fans. Mokoma made a huge impact on the metal scene. 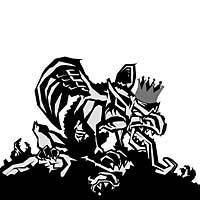 After their success all types of metal bands started to sing in Finnish, Thrash became “hip” again, and more and more bands started record labels to produce their own records. Mokoma also has strong cross-over elements. Their approach on Thrash has never been too narrow-minded, and they’ve mixed in melodic and slower parts as well. Mokoma is a metal band by definition, but they don’t follow all metal’s rules by default. Thrash puritans have always had problem with this, but Mokoma’s undeniable strength is the fact that by breaking a few rules, they open doors to people whose primary interest is not in the most extreme end of metal spectrum. Marko Annala’s lyrics are good example of this. He explores areas that are far from metal clichés and writes in a distinctive style. Unfortunately you have to be Finnish to fully understand all the intertextual references to literature and proverbs, but fortunately you don’t have to understand a word to appreciate Annala’s powerful expression as a flexible vocalist. Mokoma’s success came with active touring. In April 2003, at their “Kurimus” album release party in Helsinki, Mokoma played in as-measly-as-it-gets rock bar for about hundred people. Seven months and dozens of shows later, in November 2003, Mokoma ended their tour at sold-out Tavastia, the number one rock club in Finland. Immediately after the tour to support "Kurimus" was over, Mokoma headed back to studio. "Tämän maailman ruhtinaan hovi" came out in May 2004, and shot up straight to number 2 in the official Finnish album chart. The only album ahead was the debut of a Finnish Idols finalist, released the same day. Talking about perfect contrast: Idols star and DIY-metal-heroes back-to-back on the top of the chart. In total "TMRH" spent 13 weeks in the Finnish top 40. "TMRH" topped all the expectations set after the success of "Kurimus", and sold nearly 10.000 copies. "Uni saa tulla" became a radio hit, thus widening Mokoma's audience. Again Mokoma concreted its success by touring like there's no tomorrow. Be it a small club or the main stage of a major festival, the audience has learned to trust that Mokoma always delivers an ecstatic show – without stage props or a lighting engineer. All this resulted in the 2004 polls where Mokoma was a top act. For example in the annual Finnish Metal Awards, Sirkkelirock, Mokoma was awarded as The Band of the Year and "TMRH" as The Album of the Year. They were also nominated for Emma Award, the Finnish equivalent of Grammy. 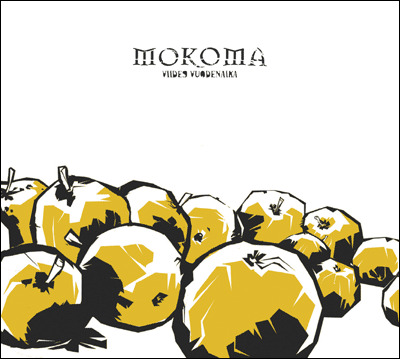 A fair portion of Mokoma’s live energy is captured on the self-titled DVD, released before Christmas 2004. It was an instant success, rocketing to number one on the Finnish DVD chart. 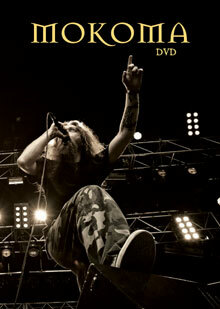 Eventually the DVD sold over 5.000 copies, and thus received Gold status in Finland. Gold DVD award is a rare treat in Finland, as in 2005-2006 only six domestic artists, including HIM and Nightwish, were awarded a Gold DVD. In 2005 Mokoma didn't release any new material, but still did a sold-out club tour and performed at almost all of the major summer festivals in Finland. Mokoma’s career held its rising trend in 2006. The latest album “Kuoleman Laulukunnaat” was released in February, and went straight to number one on the Official Finnish Chart. Mokoma’s active fan base was heavily mobilized, as during the first week of sales almost every fifth album sold in Finland was “KLK”. Before the release Mokoma was featured on the cover of every major Finnish rock magazine. Musically band took another giant leap by producing their heaviest album to date. Like the previous two albums, “KLK” has Thrash as the center line, but on “KLK” Mokoma presents wider influences from Death Metal and Grind Core. Those who know will pick up echoes of such bands as Meshuggah, Cannibal Corpse, Sepultura, and Deicide. Not the most typical references for an album about love… Lyrically “Kuoleman laulukunnaat” deal with the aftermath of a broken relationship. Marko Annala goes totally bare reflecting these feelings in the lyrics, but especially in his vocal output. His vocals vary from clean singing to shouting and to deranged screaming. And yes, even Finns need the printed lyrics to follow. The raging opening track “Valapatto” starts the storyline from desertion and broken vows, and the last song “Lujaa tekoa” ends the chapter while the storyteller - who has grown stronger through the experience - will stand proud regardless all the hits he has taken. In the tracks between Annala spits out every feeling involved; hate, anger, guilt, despair, denial, self-loathing, loneliness and sadness. Song “Itken silmät päästäni” –Crying my eyes out, literally translated – is the culmination point of the album, and its words are the epitome of Annala’s unorthodox approach to metal lyrics. One very characteristic aspect of the lyrics is that there’s not a single cursing word on the album. The heaviness rises from the personal content and the way they’re sung, not from obvious vulgarities. The video to track “Pahaa verta” is an exhilarating piece, and its effect on mosh pit activity during Mokoma’s shows has been noticeable. In October 2006 Mokoma will release an EP including some songs that were dropped from “KLK” and one of the few covers Mokoma has ever played – a Finnish translation of Death’s “Open Casket”.